Lighten up, but stay tough. 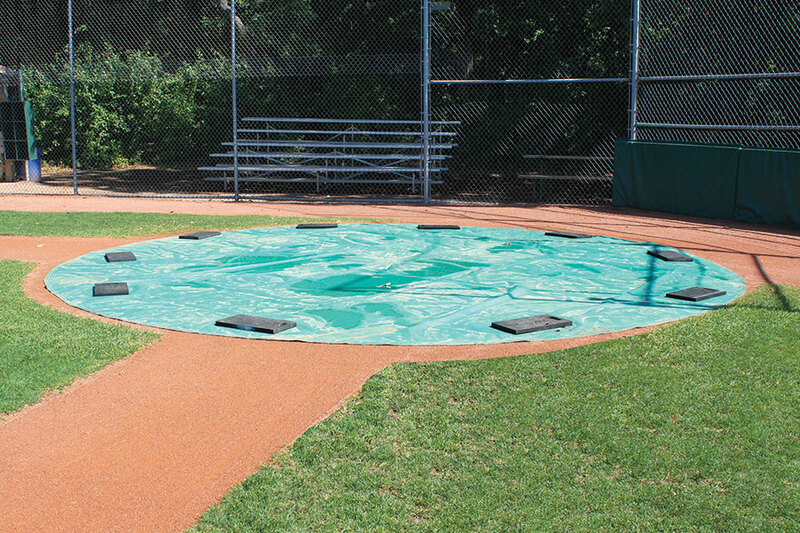 These pitching mound covers and home plate tarps handle easy, but wear hard. Made in the USA and high quality. 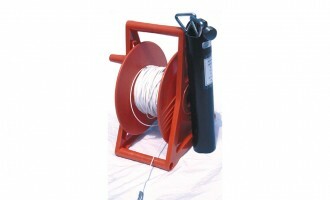 Includes spurred, rolled rim grommets every 3 to 4 ft. Colors: 6oz (gray), 8oz (maple green), 18oz (all colors) — 6oz and 8oz come with white bottoms. 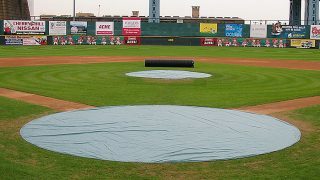 Save 10% on this area tarp when you also purchase a Tarp Cart! Contact us for custom printing. 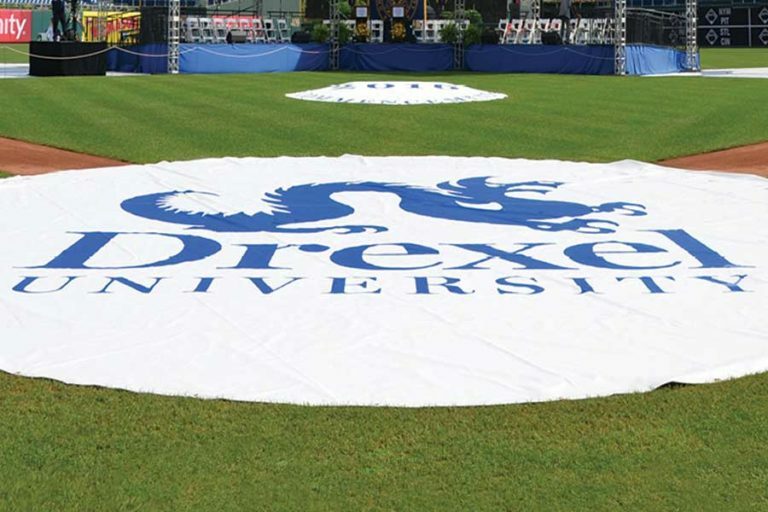 6 oz – FieldShield Lightweight is still high quality but economical (6oz /sq yd poly). 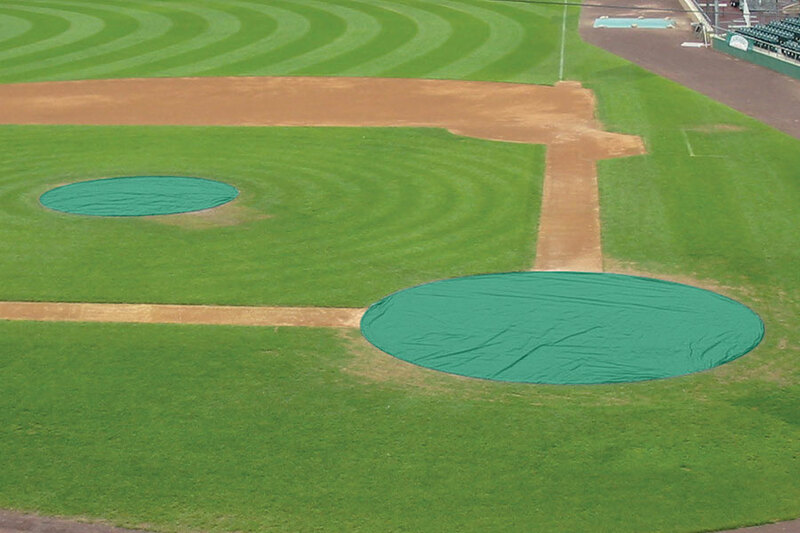 These made in the USA baseball tarps deliver the same construction quality and true sizing you expect from all Beacon tarps. 8 oz – FieldShield Standard weight is a Beacon exclusive (8oz /sq yd poly). By combining lighter weight with superior strength, it’s easily your BEST value. It also features an ArmorKote surface coating for abrasion and crack control, superior seam strength, and better chemical resistance. It’s the perfect combination — durability without excessive weight. 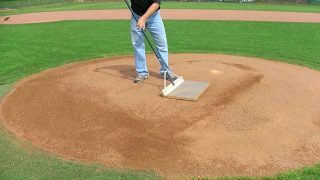 18 oz – FieldShield Heavyweight is made with the most durable material in the industry (18oz /sq yd vinyl). Constructed with solid reinforced vinyl. 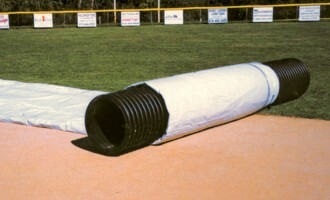 Eliminate lifting with a tarp roller and roll up to 5 tarps on a single roller. Custom printing available. 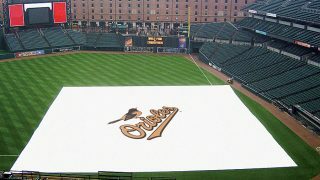 Looking for weighted hem tarps? 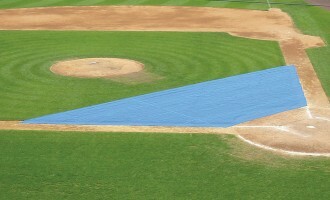 View all FieldShield Area Tarps. Consider a Beacon Tarp Cart for tarp storage and mobility. Stakes or field weights are recommended but not included. 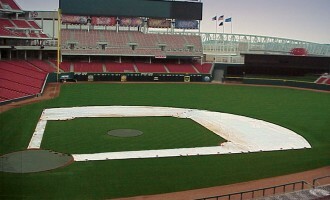 Select your tarp below to see the number of stakes and field weights needed.